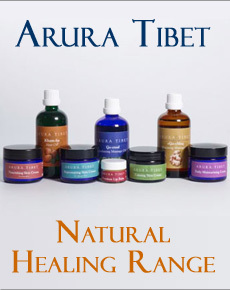 Tibetan medicine is one of the five major sciences of Tibet and it is called Sowa Rigpa, the science of healing. It is based on the four medical texts called rGyud-bzhi. Tibetan medicine is based on Buddhist philosophical principles and the close relationship between mind and body. To be a fully qualified Tibetan doctor we have to study these texts for minimum for 7 years. The first five years we have to study and to memorize 40 chapters out of the 156. Every year we have to go for a month of fieldwork in the Himalayan mountains to learn, collect and identify all the medicinal plants. We spend 200 hours out of every year doing this fieldwork and which comes to total 1000 hours over the 5 year period. In addition to this we have to study Buddhist texts such as Shantideva’s Guide to the Bodhisattva’s Way of Life which was written in India in the 8th century. This text is especially useful for mind training and for the doctors to cultivate more patience and generate compassion towards their patients. Every morning we also have to do 30 minutes medicine Buddha prayers and mantra recitation. In the final year we receive a Medicine Buddha initiation which helps to increase our healing power and also serves as a blessing. The sixth and the seventh years are spent at one of the branch clinics of the Tibetan medical Institute for a two-year internship under the guidance of one of the senior doctors. There we observe how to perform urinalysis, how to feel the pulses and how to deal with different patients. We spend around 4576 hours undergoing this form of training. On completion of the training we are awarded a certificate as a fully qualified Tibetan doctor.